The first indigenous movement talk, will be an insightful workshop and talk addressing the relationship of movement, health and well-being. Prevent arthritis, diabetes, reduce stress, blood pressure through movement and lifestyle. Vegan tasters on the night. 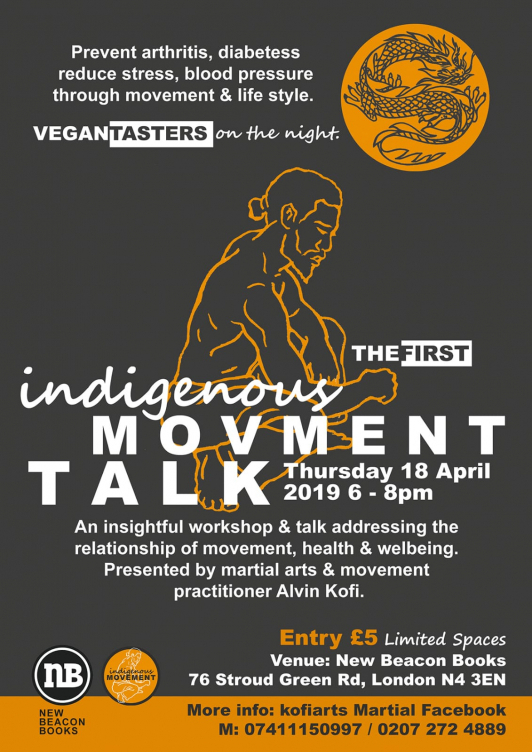 This will be presented by martial arts and movement practitioner Alvin Kofi.